This is one of the hit songs from our first CD. It’s one of our favorites featuring Haris’ father, Murray Lender playing the drums and chanting! Joggin’ Through the Jungle may be tiring, but I bet you’ll never get tired of this song! Great for ALL ages, including those really young yogis (2-4 years). 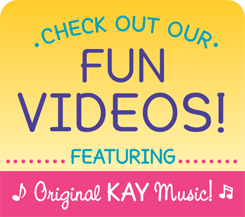 Kids love to use their imaginations and often don’t get to enough, so this song is a great one to let them really tap into their own creativity! They can imagine actually jogging through a jungle, seeing a LION, CROCODILE, TURTLE, and even pick a pose all while acting like each animal. Some of our teachers have used toy binoculars or made them with the kids out of cardboard tubes covered with scrapbook paper and a string attached. When the song says, “What else is in the jungle for us to see?” is a great place to have the kids stop and “look” through their binoculars! Plus, it slows them down so they go back to using their “jogging feet.” This one can be done anywhere! It’s great to sing in the car, in the living room on a rainy day, for a jungle/animal themed class or unit in school, and just anytime you want a little adventure and exercise! We know you’ll love this one.